Fresh from our annual Learning Leadership Summit, I read Clark Quinn’s latest book in two days on vacation. I would have finished faster if I wasn’t taking so many notes! This book is a great tool for learning leaders who are trying to reshape how learning happens in their organizations. Here’s a quick overview to what you’ll find. Validation: Quinn starts with what’s wrong with corporate L&D and why it needs to change. Almost all the learning leaders whom I know would probably say, “Yep, that’s what I’ve been saying” as they work to enlighten their stakeholders on the need to change. Quinn details the necessity for change that the L&D community recognizes yet can’t always convince others to acknowledge. Inspiration: Quinn shares his interviews with five learning leaders who made significant changes in the way they structured and fostered learning in their companies. He asked them to describe their organizations’ characteristics, the situation they came into, their strategic plan, how things are working, and what advice they’d give to others. As a bonus, Quinn includes reflections by Dr. Allison Rossett and Dr. Marc Rosenberg. Strategy: Quinn provides a framework for changing the approaches to learning and performance in an organization. His categories for assessing progress and guiding strategy are culture, formal, performance focus, social, infrastructure, and metrics. For each, he provides a guiding principle and approach to implementing new ways of supporting the organization and people in it. Guidance: He provides a self-assessment to help figure out where you can realistically make change given the realities of your company. In order words, where might you meet the most resistance, where are greatest benefits, and therefore where would you want to invest your effort? Evidence: He cites two fairly recent research studies indicating a correlation between business results and adoption of modern L&D practices. These could be useful in making a case for change. Also, Quinn has woven together insights and other research from many sources—his references section provides a way to dive deeper into both time-tested principles and newer thinking and practices. 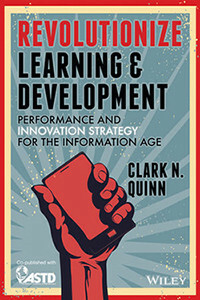 Wherever you are today, and wherever you are hoping to take your learning and development organization in the next couple of years, Quinn’s book is bound to help you along the way. Happy trailblazing! Joyce is the president and co-founder of Fredrickson Learning – and has over 30 years of experience in technical communications and training. Joyce has the unique ability to assess prospective employees for cultural fit at Fredrickson. 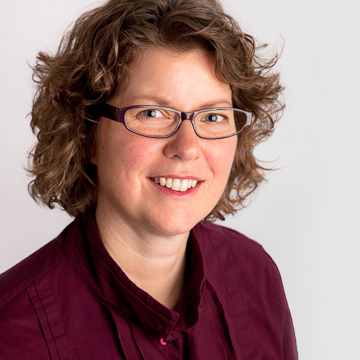 She also works with clients to match Fredrickson's consultants to their L&D assignments.